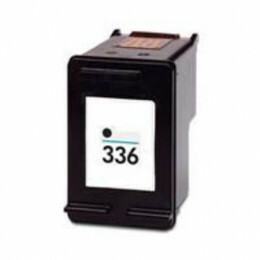 We offer cheap HP ink cartridge prices on all of our remanufactured inkjets, and the most important thing to consider when searching various sellers for these cheap HP ink cartridges is the level of quality you get at cost. Known for their innovative, continuous improvements to the science of printing, HP has set the bar high when it comes to product integrity and cutting-edge technology. This means any cheap HP ink cartridges you buy must also offer superior quality in order for a discount price to truly be classified as a good deal. • FULL one-year warranty on every HP ink cartridge and toner replacement. • All cartridges are designed to perform at OEM standards, offering the same page yield, shelf-life and crisp, bright photo finishing. • Our friendly customer service team is waiting to answer questions and help place orders. Our customers always come first, and we have a lot of them! Our cheap HP ink cartridges are high-integrity replacements used by standard households, small to large businesses, government institutions, teachers, artists, retired people, students, and everywhere in between. Our customers are like a tapestry—a patchwork quilt of various faces that, together, form a valued identity that we strive to please every day. We accomplish this by offering outstanding customer service and the highest quality HP ink cartridge replacements at a cheap price that can’t be beat! How Much are HP Ink Cartridges? The cost of HP ink cartridges tends to be priced evenly from one big office supply store to the next. They hardly ever go on sale, and even if they do you can expect to save 10 percent, if you are lucky. 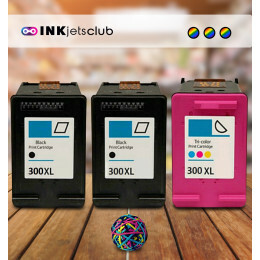 At inkjetsclub.co.uk we offer cheap HP ink cartridges sale prices on all of our remanufactured inkjets and toner saving customers more money than any printer ink sale or HP ink coupon could. For example, our replacement for the HP 56 (C6656AE) sells for well under £11.00, and the OEM retails well above £22.00 at most big box stores! Do you have an HP LaserJet printer? Depending on the model and its intended toner, you could save between 60 and 80 percent off the big name brand! According to customer feedback from the prior year, most household saved £600 a year on printing expenses by taking advantage of our cheap HP ink cartridges sale prices, and medium-sized businesses that used our HP toner replacements saved an average of £1800 a year! Give our customer support team a call and let us know your printer model so we can get you the best deal on ink for HP printers! 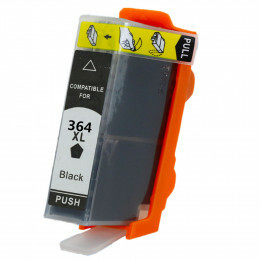 Where Can I Buy HP Printer Ink? inkjetsclub.co.uk has been in business for over 5 years, and as for the above criteria, we nail it! Without our cheap HP ink cartridges sale prices and superior-level quality, we would have closed doors year ago! Give us a call and get the best quality HP printer ink replacements, and add hundreds of pounds saved to your rainy day fund over the course of the year! Where can I Find a Good Deal on HP Toner? 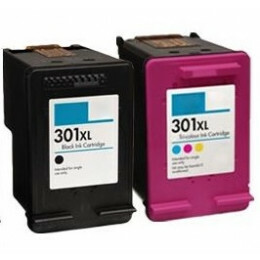 Finding a good deal on HP toner can feel like striking gold because these cartridges tend to be very costly. Your best option is to buy our remanufactured HP toner to get an even better deal than any sale price floating through the world of corporate retail. There are a number of arguments as to why laser toner for HP printers can cost an arm and a leg. The most commonly accepted reason is that companies sell their printers for next to nothing so they can hike up the pound signs on their toner cartridges. At inkjetsclub.co.uk we remanufacture our laser toner to perform flawlessly, and award our cheap HP toner sale prices on every product we ship with a money back guarantee that you will love!